Notes: Bay View Asylum occupied (cost $500,000l the old Almshouse property as Calverton sold for $341,000). 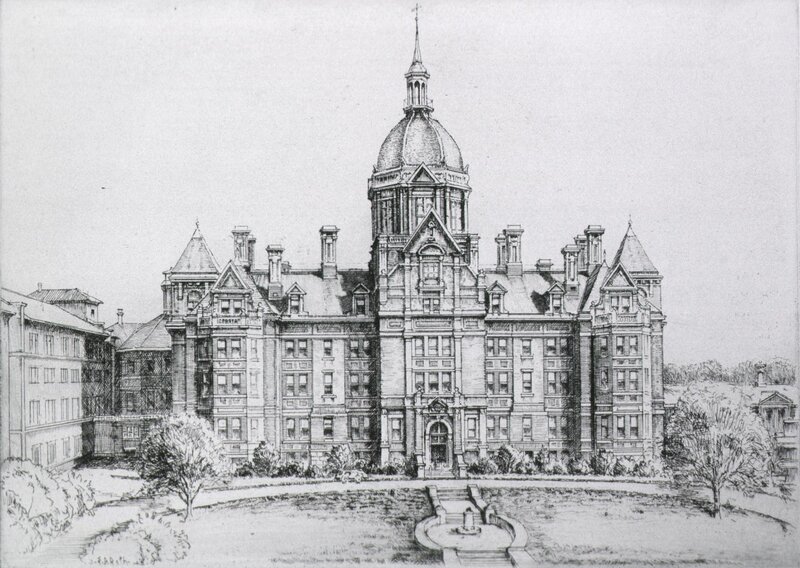 Notes: The Bayview Hospital, at Baltimore, is a magnificent establishment, erected by the city. 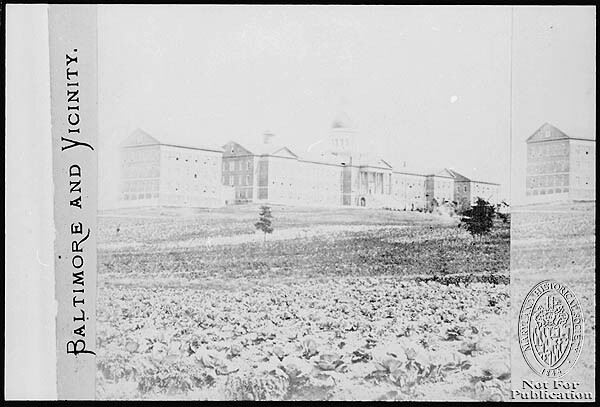 We have been unable to obtain any information in regard to this institution, the Washington University Hospital, or the Maryland Eye and Ear Institute of Baltimore. Notes: BAY VIEW ASYLUM AND HOSPITAL. This large and extensive charity, belonging to the City of Baltimore, is now accessible to allMedical Students, free of charge; and it offers advantages for studying and seeing almost every form and variety of disease and accident that can be found anywhere. 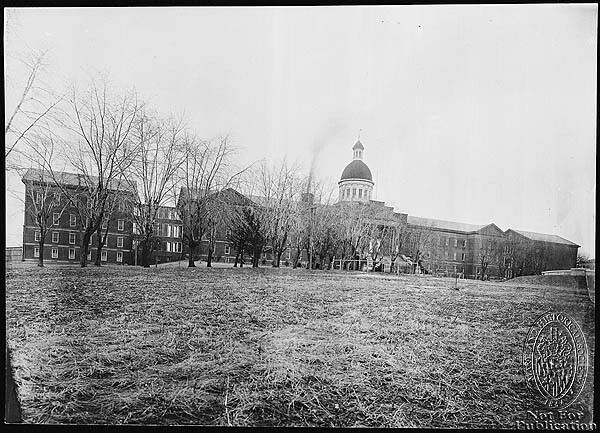 With its 1,000 beds it is more convenient in distance to the Baltimore University than to any other college in the city; and the cars going thither pass the doors of the College. Notes: Bay View Asylum and Hospital. This large and expensive charity, belonging to the City of Baltimore, is now accessible to all Medical Students, free of charge, and it offers advantages for studying and seeing almost every form and variety of disease and accident.It is situated on the eastern suburbs of Baltimore, and contains 1,000 beds, exclusive of 250 in the Insane Department.Regular clinics are given during the winter and spring sessions by the visiting staff. The amphitheaters are well lighted and comfortable, and the very large amount of clinical material affords unusual opportunities for practical teaching. The number of deaths occurring in an institution of this size affords the fullest opportunity for witnessing post-mortem examinations and the study of pathological phenomena. 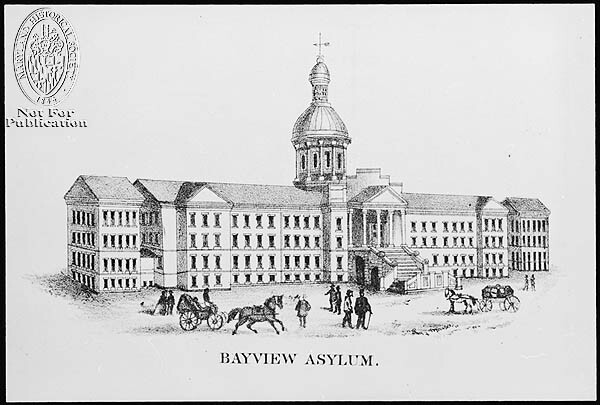 Notes: Bay View Asylum has an ambulance for emergency cases. Used especially in cases of old age, when patients are suffering from paralysis or other disability and are not able to got to Bay View in a street car. Notes: Has an ambulance to convey emergency cases to the Asylum. Applications for admission should be made to the Bay View Office, City Hall Annex, Gay St. near Lexington; telephones, C&P, St. Paul 3242-m; Md., City Hall, 35.